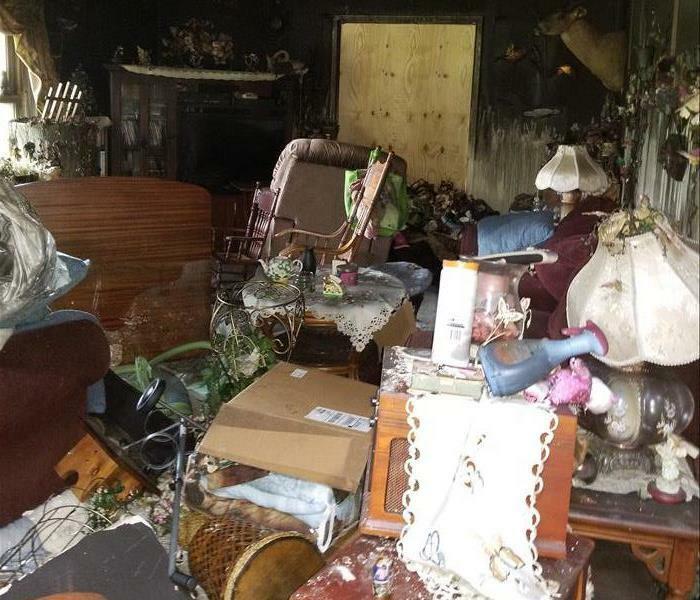 SERVPRO of St. Mary's and Calvert Counties goal is to help minimize the interruption a fire or water damage has to your life and quickly make it "Like it never even happened." We specialize in the cleanup and restoration of residential and commercial property after a fire, smoke or water damage. As trusted leaders in the restoration industry, SERVPRO of St. Mary's and Calvert Counties provide 24-hour emergency service and is dedicated to being faster to any diaster. We can respond immediately to your emergency and have the expertise to handle your restoration or cleaning needs. From the initial and ongoing training at SERVPRO's corporate training facility to regular llCRC-industry certifications, our staff is equipped with the knowledge and training to restore your damaged property. No damage is too large or too small for SERVPRO of St. Mary's and Calvert Counties. We are proud to be an active member of this community. SERVPRO of St. Mary's and Calvert Counties is locally owned and operated, so we’re already nearby and ready to help Lexington Park, MD residents and business owners with any size cleaning or restoration emergencies.